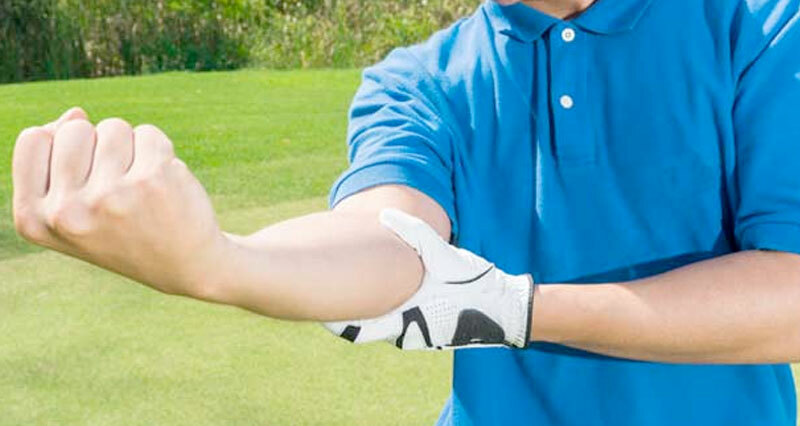 An elbow hyperextension injury occurs when the elbow is bent back the wrong way. 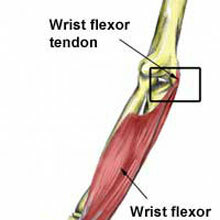 This over-straightening causes damage to the ligaments and structures of the elbow. Like several elbow injuries, this often occurs in contact sports like rugby, and causes instant pain. Ice, compression and taping are some of the ways this injury can be treated. Osteochondritis Dissecans is a fragmentation of the cartilage and sometimes the underlying bone within a joint. This is common in adolescents as the ends of the bones are not yet fully hardened. This elbow injury can be caused and exacerbated by throwing sports, so resting from this activity can help to ease the pain. Read more on the symptoms, causes, and treatments. 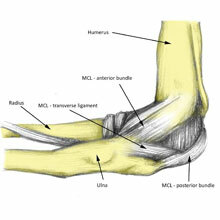 An elbow fracture is a break in one of the bones which form the elbow joint. 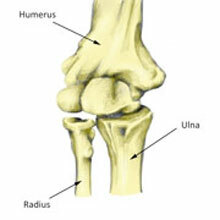 There are three bones which could be broken: the Humerus (upper arm bone), Ulna and Radius (two forearm bones). This elbow injury can be caused by a fall or a hard impact, and especially because there can be further potential complications, medical assistance should be sought immediately. 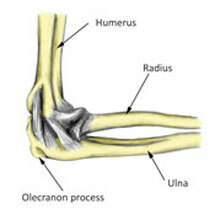 The olecranon is the large bony prominence at the back of the elbow on the ulna forearm bone. It is usually fractured from a direct impact or fall onto a bent elbow. 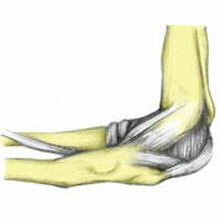 Intense elbow pain, swelling and tenderness at the back of the elbow are common symptoms of this injury. Read more on the treatment of Olecranon fracture. Elbow bursitis, also known as Students elbow or Olecranon bursitis, is the inflammation and swelling of the bursa which protects the end of the ulna bone at the back of the elbow. 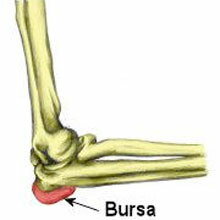 Repeatedly leaning on elbows (like many students do) can cause pain as the bursa can become inflamed. This elbow injury could also be caused by a direct impact. Read more on the symptoms, causes, and treatments for this injury.